Jared Mason Diamond (born September 10, 1937) is an American scientist and author best known for his popular science books The Third Chimpanzee (1991); Guns, Germs, and Steel (1997, awarded a Pulitzer Prize); Collapse (2005); and The World Until Yesterday (2012). Originally trained in physiology, Diamond is known for drawing from a variety of fields, including anthropology, ecology, geography and evolutionary biology. He is a professor of geography at the University of California, Los Angeles. Diamond was born in Boston, Massachusetts, United States. Both of his parents were from East European Jewish families who had emigrated to the United States. His father, Louis Diamond, was a physician, and his mother, Flora Kaplan, a teacher, linguist, and concert pianist. Diamond himself began studying piano at age six; years later he would propose to his wife after playing the Brahms Intermezzo in A minor for her. He attended the Roxbury Latin School and earned a Bachelor of Arts in anthropology and history from Harvard College in 1958 and a doctorate on the physiology and biophysics of membranes in the gall bladder from Trinity College, University of Cambridge in 1961. In 2010, Diamond co-edited (with James Robinson) Natural Experiments of History, a collection of seven case studies illustrating the multidisciplinary and comparative approach to the study of history that he advocates. The book’s title stems from the fact that it is not possible to study history by the preferred methods of the laboratory sciences, i.e., by controlled experiments comparing replicated human societies as if they were test tubes of bacteria. Instead, one must look at natural experiments in which human societies that are similar in many respects have been historically perturbed, either by different starting conditions or by different impacts. The book’s afterword classifies natural experiments, discusses the practical difficulties of studying them, and offers suggestions how to address those difficulties. People who get depressed at such thoughts [big global environmental problems] often then ask me, "Jared, are you optimistic or pessimistic about the world’s future?" I answer, "I am a cautious optimist." By that, I mean that, on the one hand, I acknowledge the seriousness of the problems facing us. If we don’t make a determined effort to solve them, and if we don’t succeed at that effort, the world as a whole within the next few decades will face a declining standard of living, or perhaps something worse. That’s the reason why I decided to devote most of my career efforts at this stage of my life to convincing people that our problems have to be taken seriously and won’t go away otherwise. On the other hand, we shall be able to solve our problems – if we choose to do so. 1 2 "Jim Al-Khalili talks to Jared Diamond about his journey from the gall bladder to global history via a passion for the birds of Papua New Guinea.". Retrieved 2012-12-19. ↑ "Prospect/FP Top 100 Public Intellectuals Results". October 15, 2005. Retrieved March 1, 2016. 1 2 McKie, Robin (January 5, 2013). "Jared Diamond: what we can learn from tribal life". The Observer. Retrieved January 5, 2013. 1 2 Diamond, Jared (1961). Concentrating activity of the gall-bladder (PhD thesis). University of Cambridge. 1 2 "The Prize Winner, 1998". Expo-Cosmos. Retrieved 2009-05-18. ↑ Diamond, J.; Bishop, K. D.; Gilardi, J. D. (2008). "Geophagy in New Guinea birds". Ibis. 141 (2): 181. doi:10.1111/j.1474-919X.1999.tb07540.x. ↑ "Rapa Nui déjà vu". The Economist. October 8, 2009. 1 2 3 4 5 6 "Prize for Science Books previous winners and shortlists". Royal Society. Retrieved 2009-05-18. 1 2 "Los Angeles Times Festival of Books – Book Prizes – Winners by Award (science)". Los Angeles Times. Retrieved 2009-05-18. ↑ "1997 Phi Beta Kappa Science Book Award". Phi Beta Kappa. Retrieved February 16, 2014. ↑ Lovgren, Stefan (6 July 2005). "'Guns, Germs and Steel': Jared Diamond on Geography as Power". National Geographic News. Retrieved 6 December 2012. ↑ "Guns, Germs & Steel: The Show". PBS. Retrieved 6 December 2012. ↑ Balter, M. (2009). "'Vengeance' Bites Back at Jared Diamond". Science. 324 (5929): 872–874. doi:10.1126/science.324_872. PMID 19443760. ↑ Maull, Samuel (April 22, 2009). "Author Jared Diamond sued for libel". AP News. Retrieved 2012-02-08. ↑ Smillie, Dirk (19 October 2009). "Fresh Legal Jab At 'The New Yorker'". Forbes. Archived from the original on November 25, 2009. Retrieved 8 February 2013. ↑ "Natural Experiments of History – Jared Diamond, James A. Robinson". Harvard University Press. Retrieved September 18, 2010. ↑ Jared Diamond, Collapse: How Societies Choose to Fail or Survive, chapter "The world as a polder: what does it all mean to us today? ", section "Reasons for hope", Penguin Books, 2005 and 2011, page 521 (ISBN 978-0-241-95868-1). ↑ "Distinguished Achievement Award". gastro.org. Retrieved September 8, 2013. 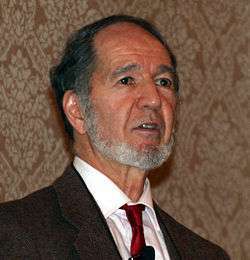 1 2 "Jared Diamond, Geographer, Explorer-in-Residence". National Geographic. Retrieved August 10, 2013. ↑ "Carr is honored for activities". Gainesville Sun. April 5, 1989. Retrieved September 8, 2013. ↑ "Tanner lecturer will present on Tuesday". SUU News. Southern Utah University. March 4, 2012. Retrieved September 8, 2013. ↑ "The 1998 Pulitzer Prize Winners: General Nonfiction". pulitzerprize.org. 1998. Retrieved August 10, 2013. ↑ "Previous awardees". aou.org. Retrieved September 8, 2013. ↑ Schmidt, Elaine (January 30, 2000). 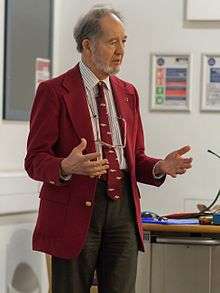 "UCLA Physiologist Dr. Jared Diamond Wins National Medal of Science". UCLA Newsroom. Retrieved August 10, 2013. ↑ "Honorary Fellows". Trinity College. 2013. Retrieved September 8, 2013. ↑ Shmulovich, Michal (2 January 2013). "Seven scientists and an architect to be awarded Israel's prestigious Wolf Prize". The Times of Israel. Retrieved 6 February 2013.